It's Oscar Time! Can Leo Lose Again? It’s Oscar Time! Can Leo Lose Again? 1) It’s understandable that Leonardo DiCaprio’s sad, statue-free existence has become a Grave Injustice to the online masses. He’s simply been in a lot of movies popular among 20something guys. I’m referring, of course, to Revolutionary Road (and Inception and Django Unchained and The Departed and Shutter Island). He’s so popular that we collectively forgave him for J. Edgar, one of the most desultory, wretched experiences in a movie theater you will ever have. For my money, his best performances remain What’s Eating Gilbert Grape, Catch Me If You Can, and Blood Diamond, and I kind of enjoy him losing all the time—it’s more fun—but it seems like that will end this year. 3) I can’t believe Carol didn’t get a Best Picture nomination. 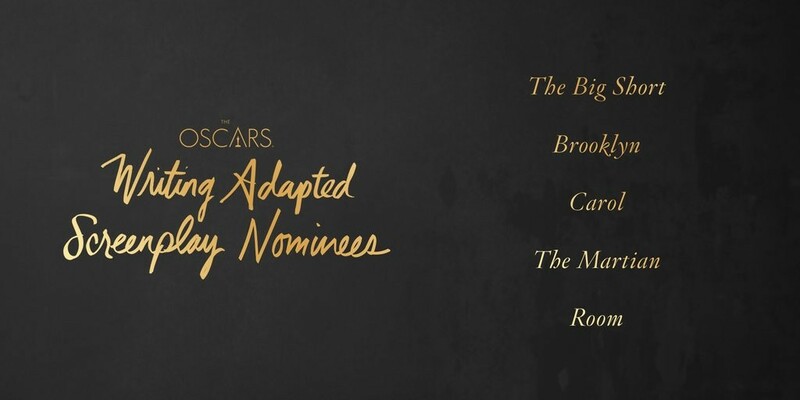 It’s one of those staid period pieces about Serious Issues, featuring a cast of respected actors looking grim and professional, that Oscar voters usually pour over their pancakes and ferociously lap up. It didn’t move me quite as much as it has some, but it’s better than at least half the nominees, and if dry, unimaginative drivel like The Imitation Game can get a nomination last year, Carol should. 4) Do we really want to live in a world where Jennifer Lawrence has four acting nominations? To be fair, I didn’t see Joy, mainly because it looked so boring that I would have been paying money to take a nap, so if anyone did and wants to chime in on her worthiness, feel free. For what it’s worth, the rest of the Best Actress field is quite deserving. 5) The Big Short is haphazardly directed, pumped full of jarring and poorly-timed cuts, grating pop-culture montages, and laughable continuity errors, so naturally, it earned a Best Director and Best Film Editing nomination. Sometimes the Oscars are too predictable for words. 6) Screenwriting rock star Aaron Sorkin wasn’t nominated for Best Adapted Screenplay for Steve Jobs. To be fair, that was a bizarre, conflicting viewing experience, but it’s a better script than The Martian. Besides, the man didn’t write 180 pages of dialogue for nothing. 7) I’ve long since given up hope that Brooklyn will win Best Picture, but if the great Nick Hornby doesn’t win Best Adapted Screenplay, there truly is no justice in the world. 8) Can someone who’s seen Creed tell me whether Sylvester Stallone deserves to be involved with these august proceedings? 9) I love Brie Larson, so it’s awesome to see her as the frontrunner for Best Actress in Room. She’s never anything less than fiercely authentic in a performance that exceeds her (still respectable) film. Perhaps we should have seen this coming; guest-starring as a horny au pair on The League portends nothing but critical acclaim for your future. 10) Finally, “See You Again” isn’t one of the Best Original Songs? What?! (And the Spectre theme song is?) I mean, if we have to sit through five musical performances during the ceremony (for reasons passing understanding), at least give us one that evokes images of Paul Walker’s touching sendoff. It was one of the best moments to be had in a movie theater in 2015. 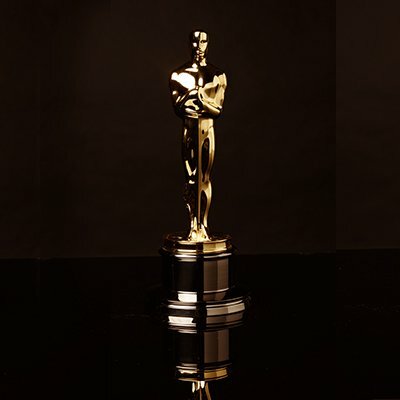 All pictures courtesy of the Academy’s official Twitter account.